Wider Range, Bigger Savings, More Convenient. Your Adviser’s first step is design your contest with your needs, wants and payment ability, then we launch it. To kick start your mortgage contest, we then bid all matching loans that we can arrange for you with Bonus Monthly Cash-back up to 0.3% p.a. paid by us to your loan for life. 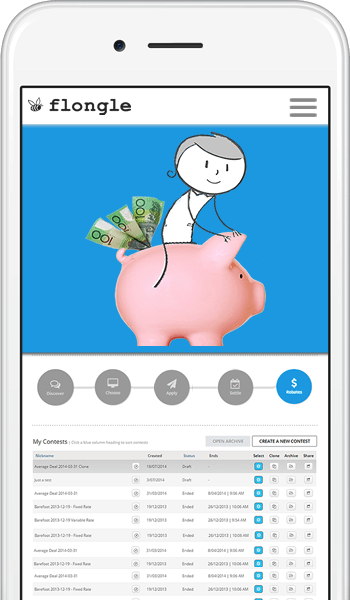 Click here to see how this step is different to mortgage brokers. We include Bonus Monthly Cashbacks on ALL panel lenders by paying you 100% of all lender paid kickbacks, commissions and bonuses on over 3,000 loans; Mortgage brokers don’t usually rebate ALL lender paid kickbacks. Most don’t rebate anything. We are paid the same fixed amount no matter which of our loans, lenders or which bidder you choose; Mortgage brokers charge varying amounts depending on which lender or loan they arrange for you. We charge fixed fees payable only when we obtain a loan for you or connect you with bidders; Mortgage brokers charge up to 8 x our fixed fees by keeping 100% of commission. Some also charge you extra, variable fees including advice fees and early payment penalties (“clawback”). As soon as we launch your mortgage contest, we remove your identity details and promote it to more than 100 registered bidders via flongle. We also invite up to 50 leading, direct-only lenders to view and bid your contest. Bidders can bid their best deals for free. We allow ANY lender or broker* to bid for your contest for FREE; Mortgage brokers only allow a small range of commission paying lenders. *Subject to our Responsible Lending Obligations. We give you secure web access to easily rank; filter and pick your favourites from our range of Verified cashback deals and third party bids based on features, cost and more 24×7. When you’re ready, email or talk with your adviser to review your mortgage contest and reach the choice that’s right for you. 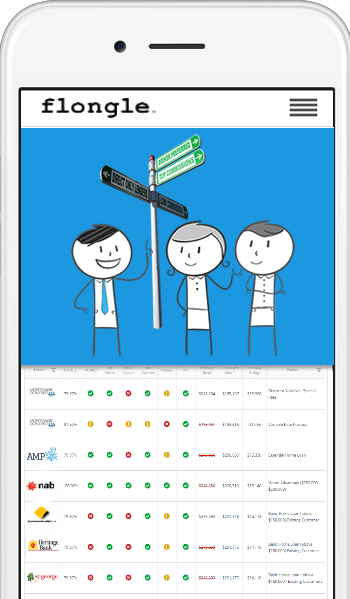 It puts easy-to-use broker tools in your hands to cut through maximum range to find your ideal solution fast. 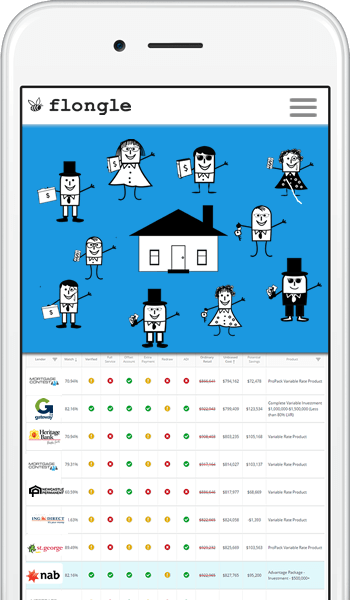 See all matching bids and our cashback deals apple with apple including personalised feature Match Factor and Loan Cost for each option. Plus you’re fully supported by your independent expert. If you apply for one of our cashback deals, our dedicated, in-house settlements team helps keep your application on track and simple. You can apply, upload your supporting documents and check your loan application status when you want 24×7. 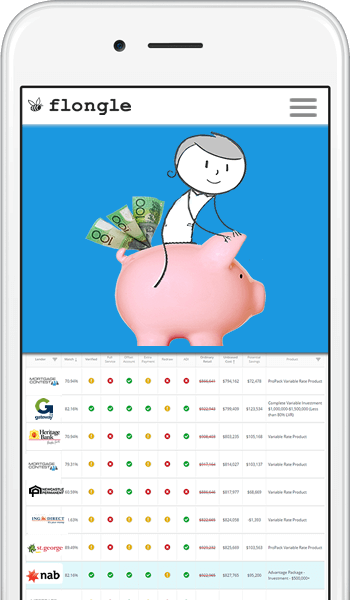 You can also share results with your advisers, accountants, partners and guarantors for a smarter, more collaborative choice. Your mortgage contest will include all bids from third part bidders and flongle. If you apply for one of flongle’s many cashback deals, you can securely upload any documents while your adviser and our in-house settlements team will ensure your loan runs as smoothly as possible from go to whoa. When we arrange your loan with a panel lender, commissions always exceed our fee as commission paid continues to grow every month. Once we have collected our fee (which we can charge to your commission rebate account so you’re never out of pocket), we begin paying surplus commissions to you each month, every month, for life. We can arrange your loans and savings with these panel lenders that make ordinary mortgage brokers look, well, ordinary. Because we’re unbiased, we invite commission free lenders to really put our lenders to the test. Learn how. Comparison rate: All rates listed are lender comparison rates. Unless stated otherwise, each comparison rate is calculated on a loan amount of $150,000 for a term of 25 years based on an LVR of 80% or less and minimum loan of $500,000. These rates are for secured lending only. WARNING: This comparison rate is true only for the examples given and may not include all fees and charges. Different terms, fees or other loan amounts might result in a different comparison rate. Rates and fees are subject to change without notice. Unbiased Mortgage Advisers by flongle is a groundbreaking, independent service that gives you easy access to a bigger range of discounted deals not advertised by lenders or ordinary mortgage brokers. 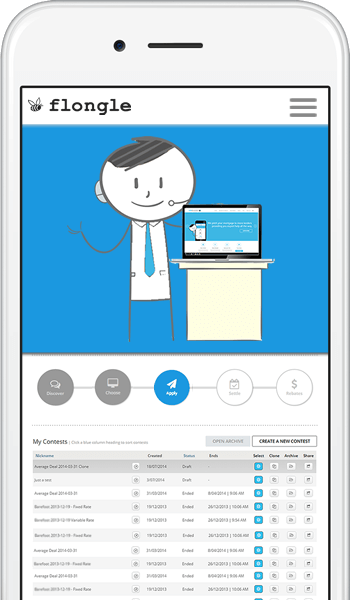 With Unbiased you will get independent, expert help and better deals for less than the cost of an ordinary broker. © 2014 Unbiased Mortgage Advisers. All rights reserved.